Stephen Spignesi is a New York Times best selling author of many books. By Colin Andrews with Stephen Spignesi. 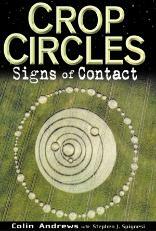 his early years of research Andrews recounts some of his first crop circle encounters. began to appear in the late 80's. 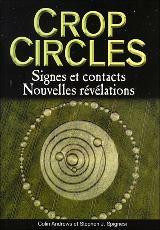 human circlemakers. He also tacitly recognizes their role in the evolution of the patterns. detailed discussions of Project Blackbird and the Oliver's Castle video. greater appreciation of the phenomenon and the mysteries that surround it. we're a long way from the answer. it makes it all the more "obligatory" to entertain all available theories.